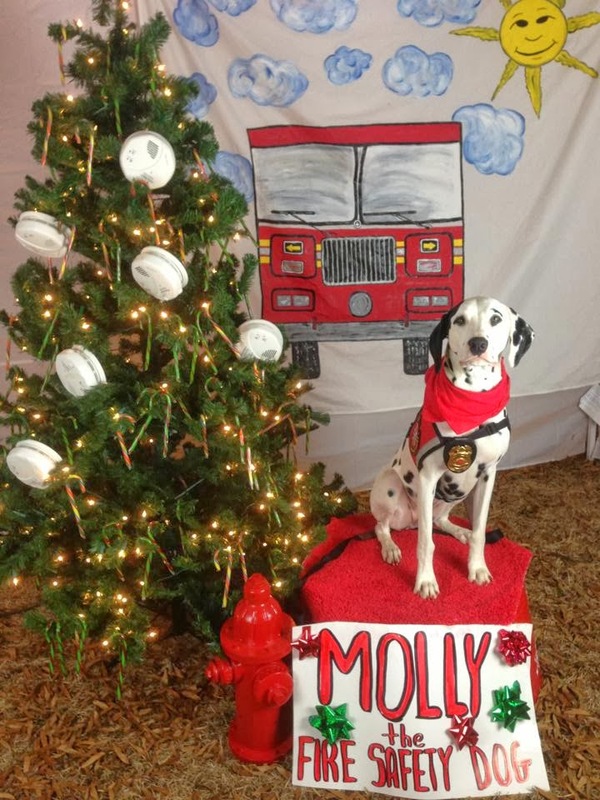 Fire Safety Rocks: Event on the Johnson County Courthouse Square! 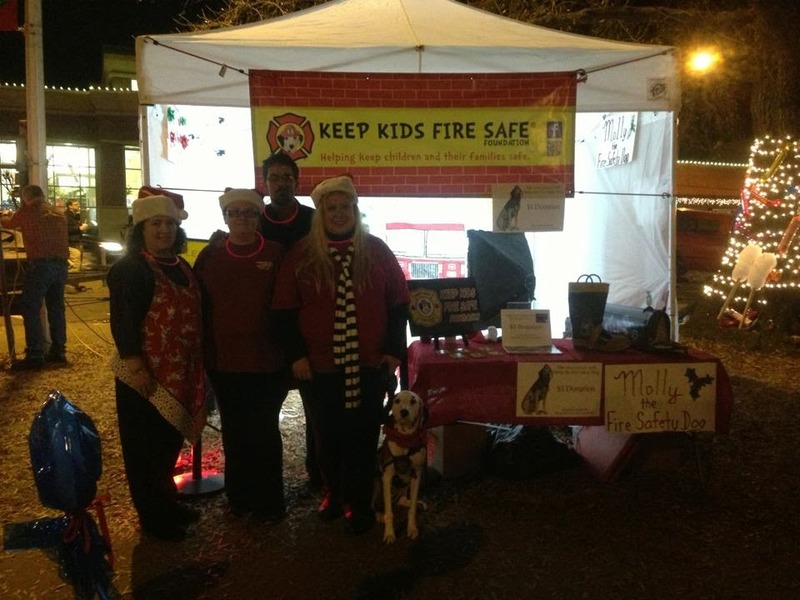 Tonight the Keep Kids Fire Safe Foundation participated in an event after the Clarksville Christmas Parade. 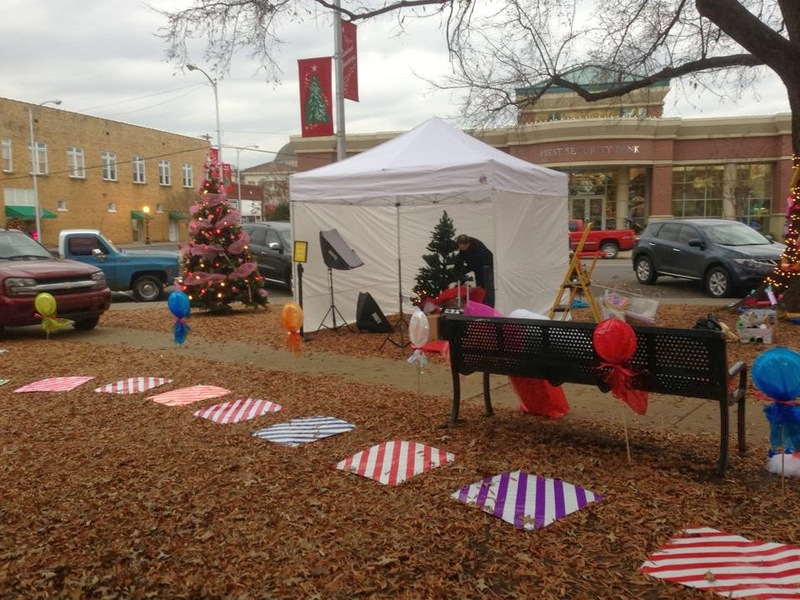 The Clarksville Chamber of Commerce invited non-profits to set up on the Johnson County Court Square to help raise money. We couldn't resist! It took us several hours to set up the foundation's tent. 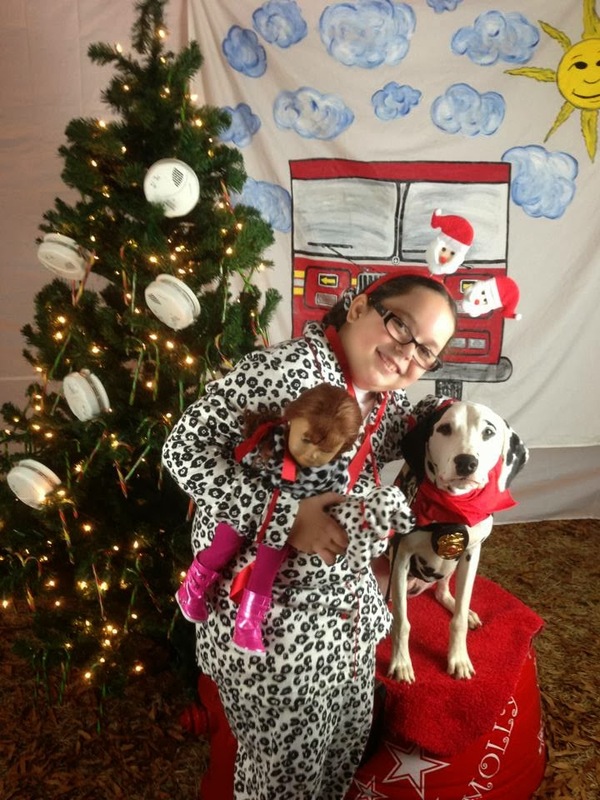 Children stopped by the foundation's tent to have their picture made with me for a donation. We raised $43! We were so excited! 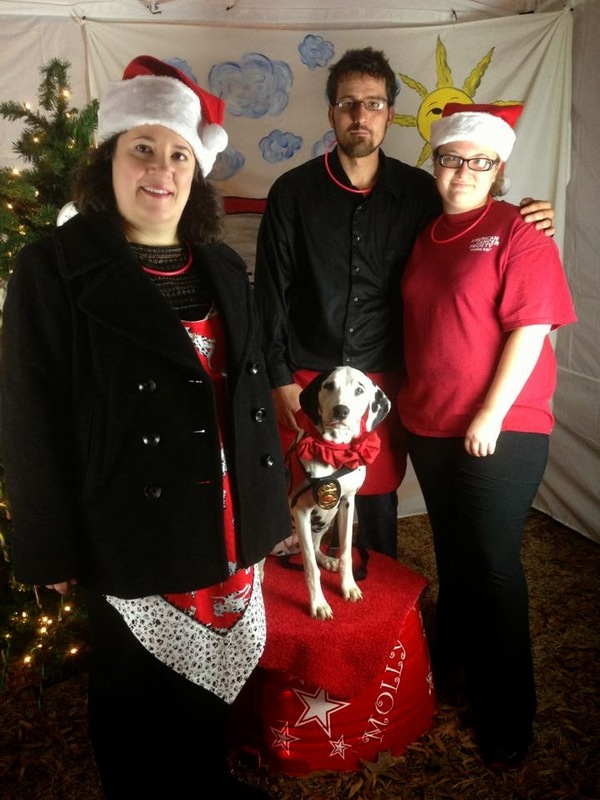 Thanks to our volunteers, Robert Hilton, Kimberly Spicer﻿, Jacob Lagoy﻿ and June Lagoy. This is what our tent looked like at night! 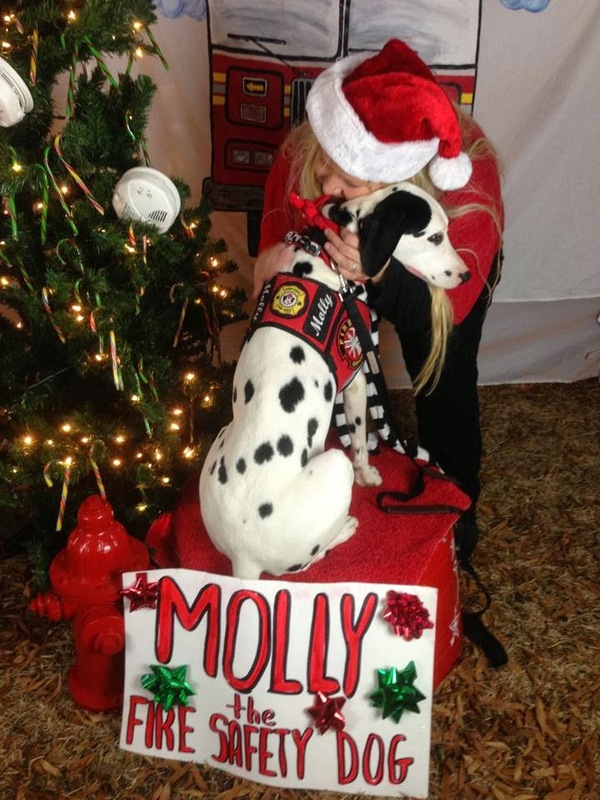 Afterwards, I got a lot of hugs from Firefighter Dayna. I love getting hugs!